After spending more than ten years selling oil and advertising, Tyrone decided he needed a change. He had a profound desire to help people – to make someone else’s life better or at least easier. As a result, he applied and was offered the position of Senior Pharmaceutical Sales Representative at Eli Lilly and Company in Rochester Hills, MI. The products for which he was responsible were Actos, Humalog, Byetta, Evista and Cialis. He was promoted to Executive Sales Representative in less than two years. At the time, that was the fastest anyone at the company had attained this promotion – ever. He took a territory ranked 580 out of 600 and annual sales of $10 million to a rank of 11 out of 600 and generating $20 million annually in just three short years. He had surely found a better reason to get out of bed each day. At least that is what he thought until about one year later. Many times, as he waited to make a sales presentation to a physician, he overheard patients discussing their personal healthcare situations. More often than not physicians would comment how difficult it was for them to treat patients properly because medications weren’t affordable and the restrictions placed on them by PBM formularies. A plan was forged to address these problems. He spent one more year at Eli Lilly, leading a team tasked with gaining formulary access for diabetes products, ultimately resigning to begin work on a start-up fiduciary pharmacy benefit management company that would offer employers radical transparency and patients more affordable medication, convenience and clinical programs that improve patient outcomes while reducing the frustrations associated with taking daily multiple medications. Educating self-funded employers and benefits consultants on the intricacies of pharmacy benefits management is a passion for Tyrone. As a result, he has trained hundreds of executives, consultants, brokers and HR professionals on how to effectively manage pharmacy benefits. Tyrone holds a Bachelor’s Degree from Michigan State University, Master of Business Administration (MBA) from Wayne State University and is a Certified Pharmacy Benefits Specialist. 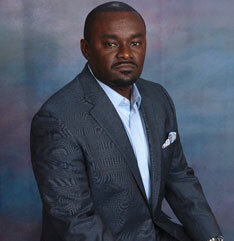 He has over 15 years of pharmaceutical, pharmacy benefits management, sales management and marketing experience.